It's been a busy week around these parts. School is back in full swing and we're trying to get in the groove of homework and schedules again. For a little diversion, I had fun surfing through last week's Frugal Friday links. For this week's Frugal Round-up, I'm sharing some fun DIYs! 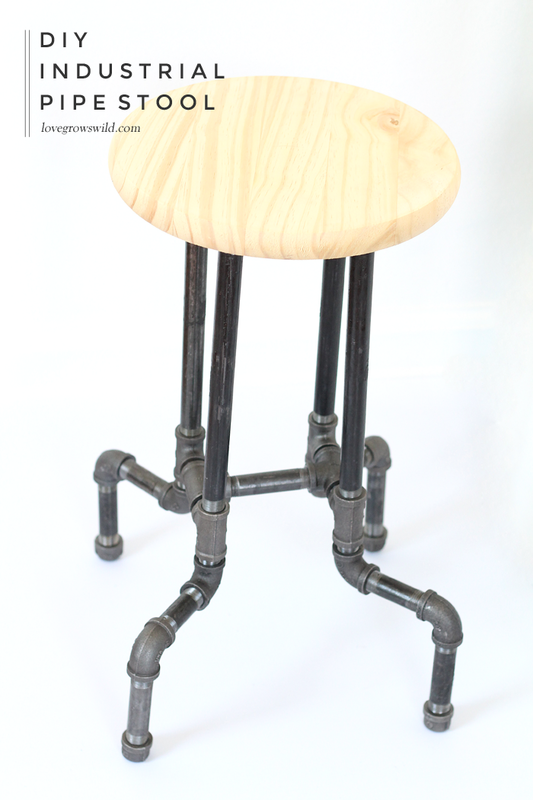 First up, I fell in love with this DIY Industrial Pipe Stool shared by Love Grows Wild. How creative is this? 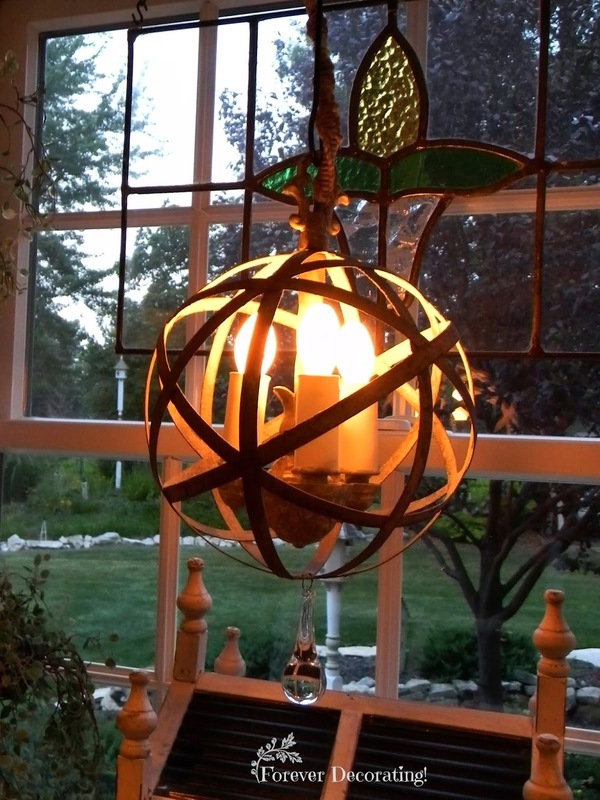 And talk about creative....this DIY orb chandelier shared by Forever Decorating is adorable! 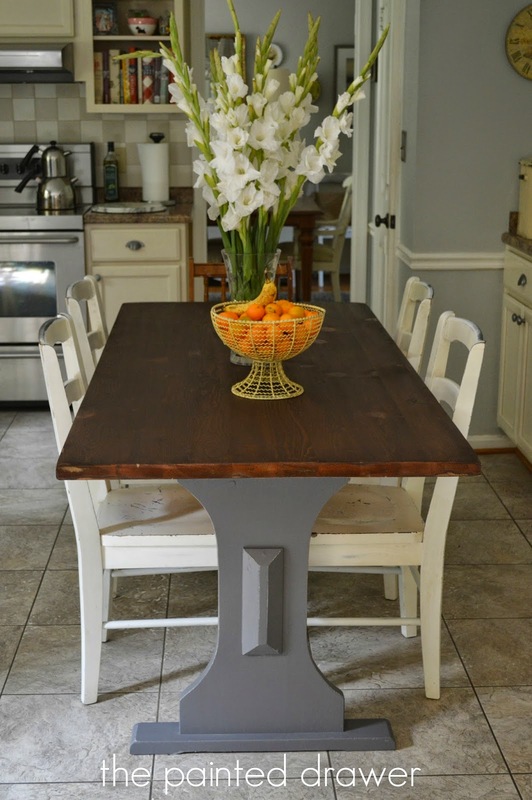 Finally, The Painted Drawer shared her "new" old farmhouse table makeover. Love. Love. Thanks so much for hosting - hope you have a great long weekend! I hope you have a great week, and thanks for hosting such a fun party. Thank you Wendy for Frugal Friday.